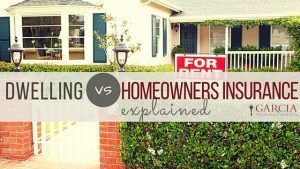 What’s the difference between homeowners and dwelling policy? Generally speaking, dwelling policies are less comprehensive than homeowners policies. Homeowners insurance policies are sold as a package that can include coverage for property, liability, contents, theft and water backup coverage. Dwelling policies were initially designed for vacant or non-owner occupied, rental properties, therefore do not provide extensive coverage. Coverage for both dwelling and homeowners can vary so it is important to understand your specific policy. Next Post: I’m in a low-risk flood zone, do I still need flood insurance?